By the close of December 1939 more than 10,000 vehicles of this type had been delivered to the Heer and production was continuing. By the close of December 1939 more than 8,000 vehicles of this type had been delivered to the Heer and production was continuing. By the close of December 1939 more than 11,000 vehicles of this type had been delivered to the Heer and production was continuing. 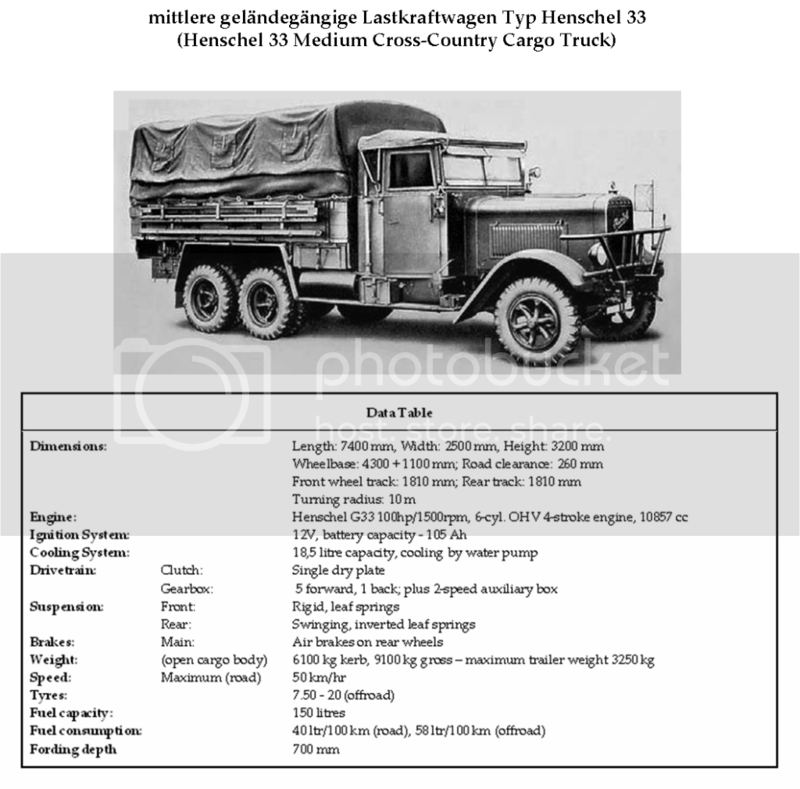 The Krupp L2H143 Light Cross-Country Cargo Truck (le.g.Lkw) was adopted by the Heer in 1935 to fulfill the needs of motorized formations for a reliable cross-country cargo and personnel carrier. The first vehicles were delivered to the troops in early in 1936 and were immediately issued to the rifle troops of the Panzer divisions. The type has also been exported to friendly nations. Manufacture is undertaken by Friedrich Krupp AG, Abteilung Kraftwagenwerke, Essen. 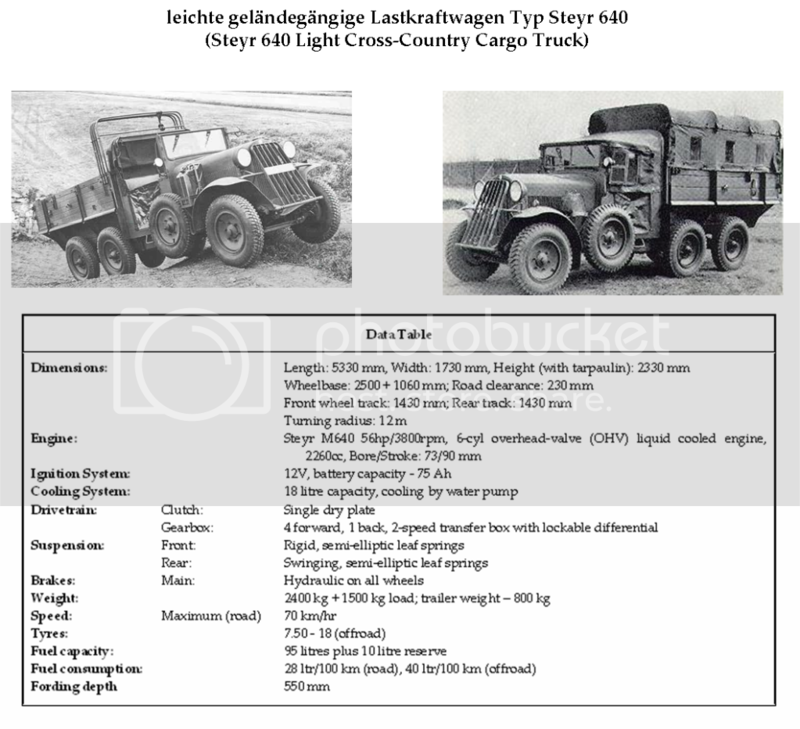 The Steyr 640 Light Cross-Country Cargo Truck (le.g.Lkw) was adopted by the Heer in 1935 to fulfill the needs of infantry formations for a reliable cross-country cargo and personnel carrier. 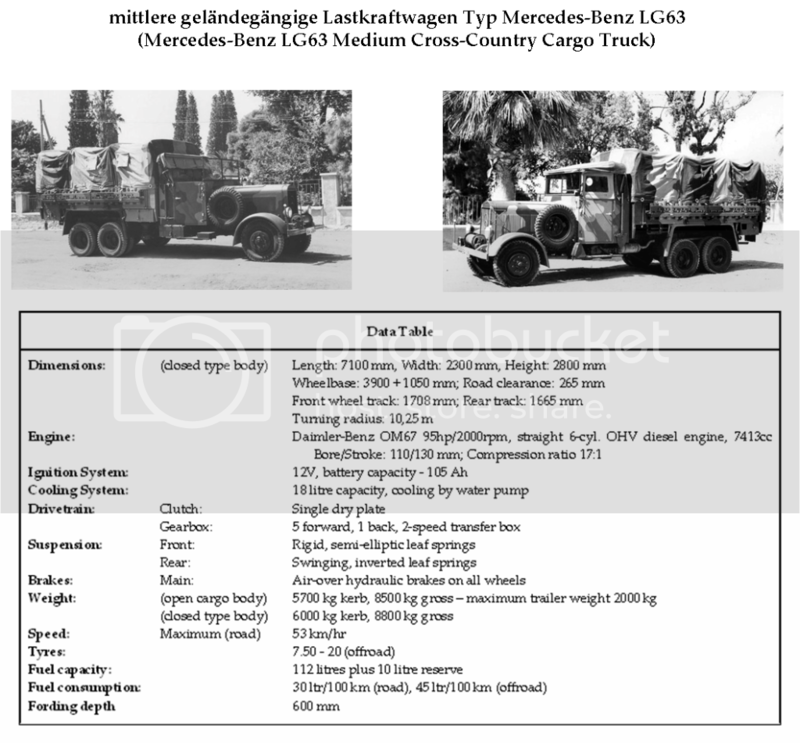 The first vehicles were delivered to the troops in early in 1936 and were issued primarily to the supply and transport units of infantry divisions. The type has also been exported to friendly nations. 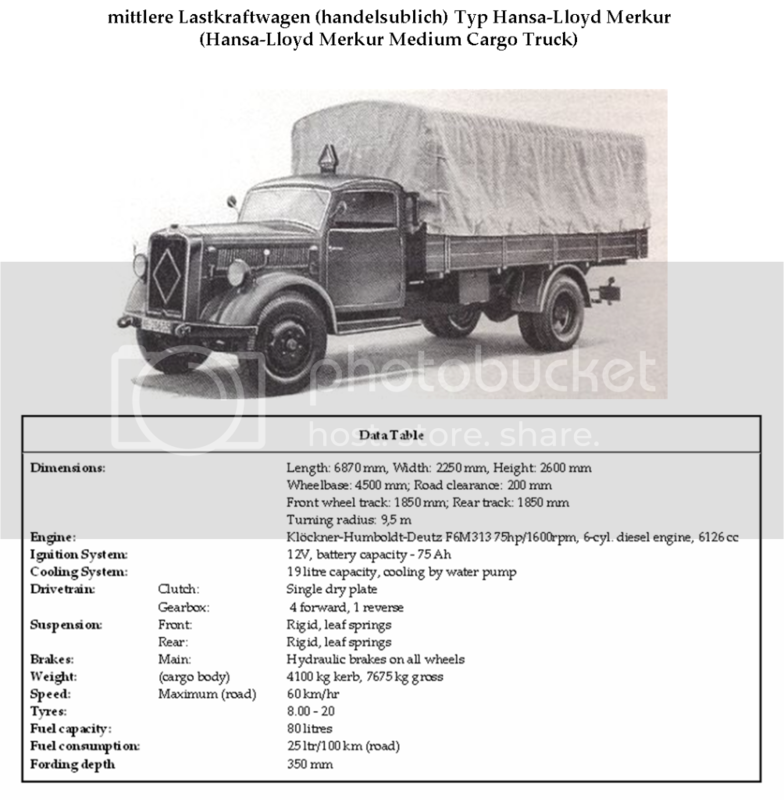 Manufacture is undertaken by Steyr-Daimler-Puch AG, Steyr. By the close of December 1939 more than 4,000 vehicles of this type had been delivered to the Heer and production was continuing. 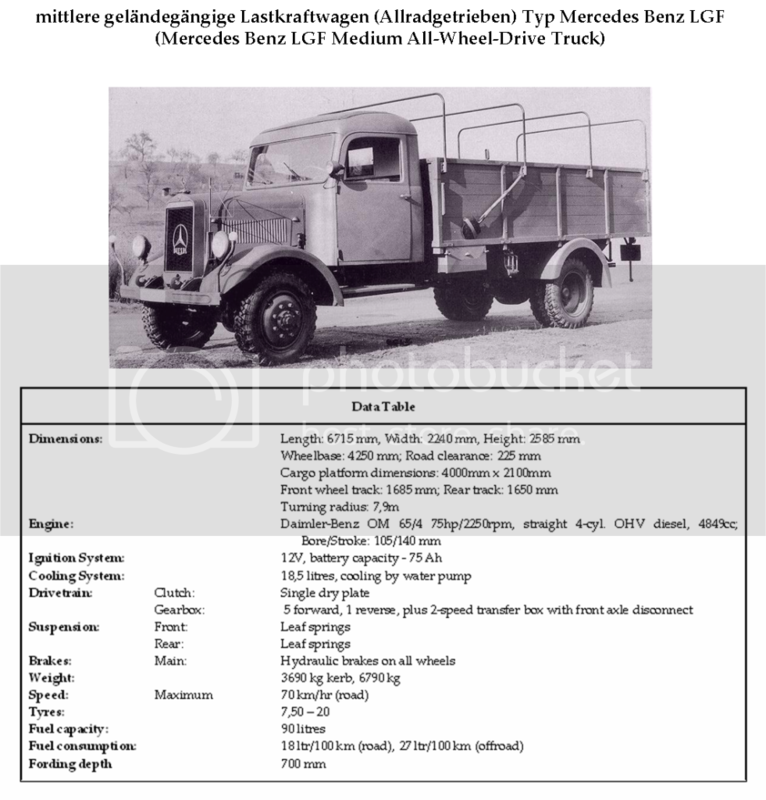 The Mercedes-Benz LG63 Medium Cross-Country Cargo Truck (m.g.Lkw) was adopted by the Heer in 1935 to fulfill its need for a cross-country cargo carrier. The first vehicles were delivered that year and production continued through 1938, with the Daimler Benz AG Berlin-Marienfelde and Gaggenau factories delivering a total of 7,434 examples to the Heer, in addition to exports to friendly countries. 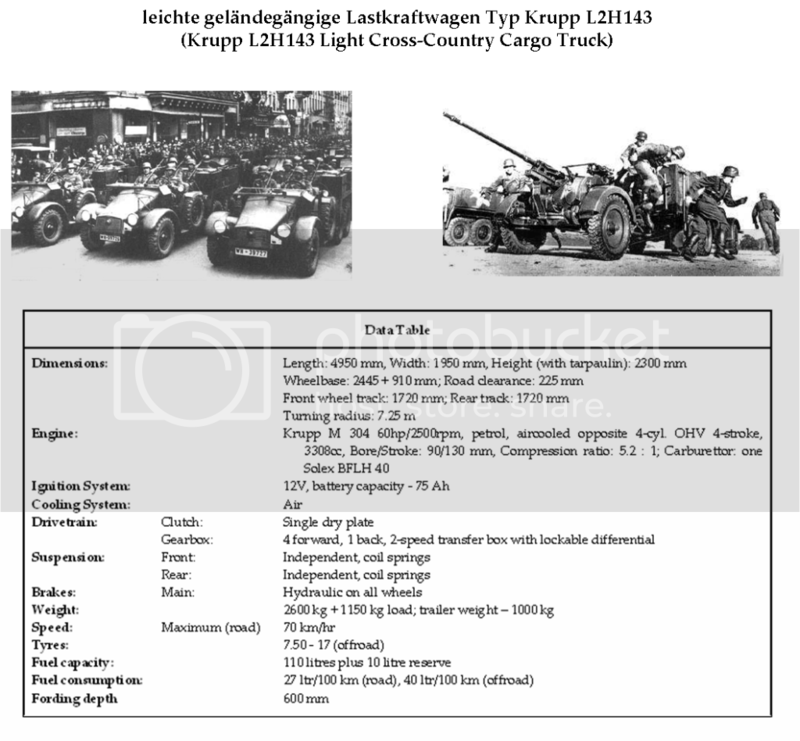 The Krupp L3H163 Medium Cross-Country Cargo Truck (m.g.Lkw) was adopted by the Luftwaffe in 1936 to fulfill its need for a specialist towing vehicle for anti-aircraft guns and other specialist air defence equipment. The first vehicles were delivered that year and the Krupp Abteilung Kraftwagen plant in Essen delivered a total of 2,175 examples to the Heer. 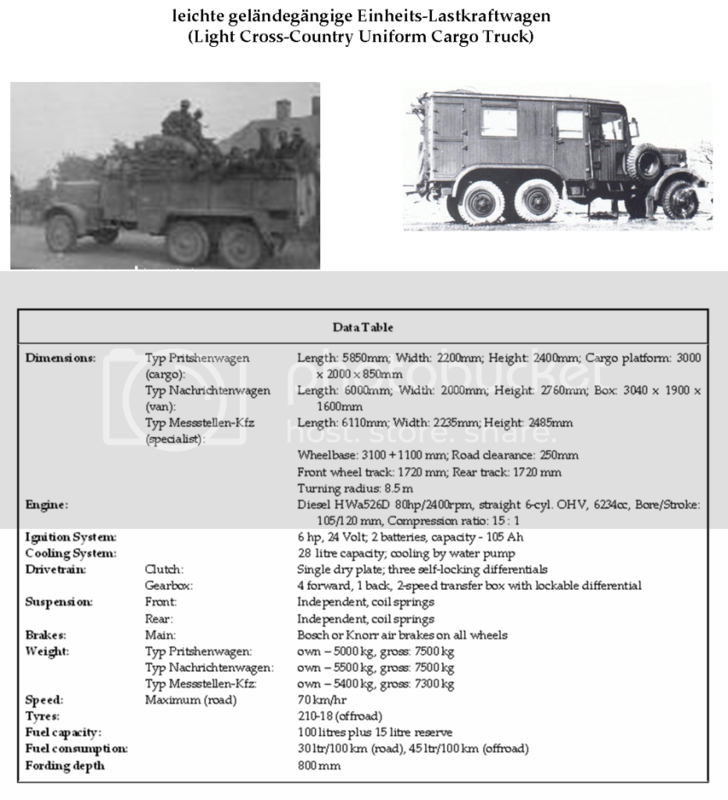 Similar vehicles were also sold on the civilian market, and others were sold abroad for both civil and military use. 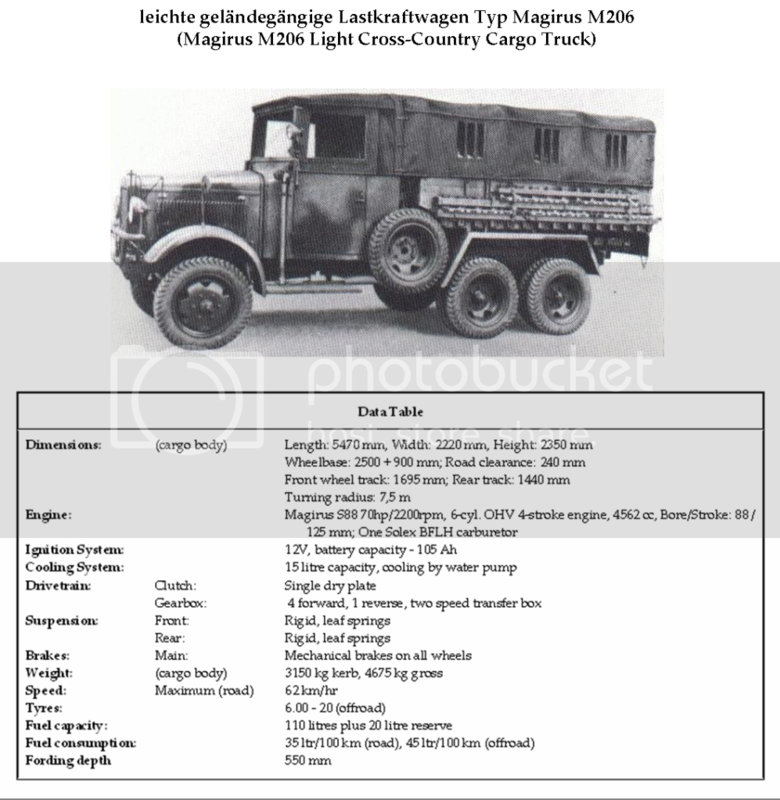 The Henschel 33 Medium Cross-Country Cargo Truck (m.g.Lkw) entered service with the Heer in 1933 to fulfill its need for a cross-country cargo carrier. 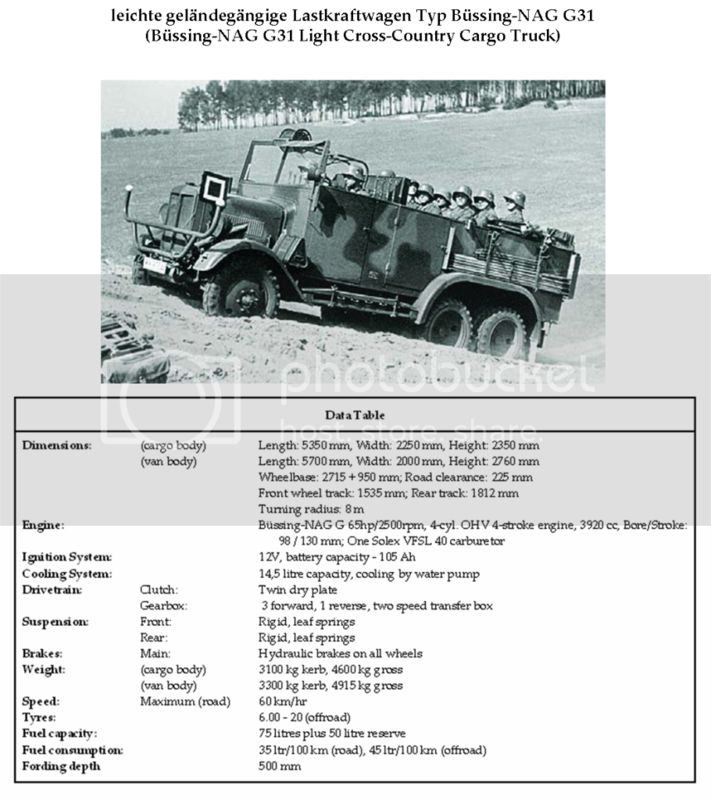 The first vehicles were delivered that year to the motor transport battalions of the newly-formed Panzer divisions; subsequently it has been issued to formations and specialist units throughout the Heer and the Luftwaffe. Production continues at the Henschel und Sohn motor vehicle works in Kassel, and in 1938 the type was also put into production at the works of Klockner-Humboldt-Deutz AG, Abteiling Magirus, Ulm. By the close of December 1939 more than 14,000 vehicles of this type had been delivered to the Heer and to the Luftwaffe and production was continuing. 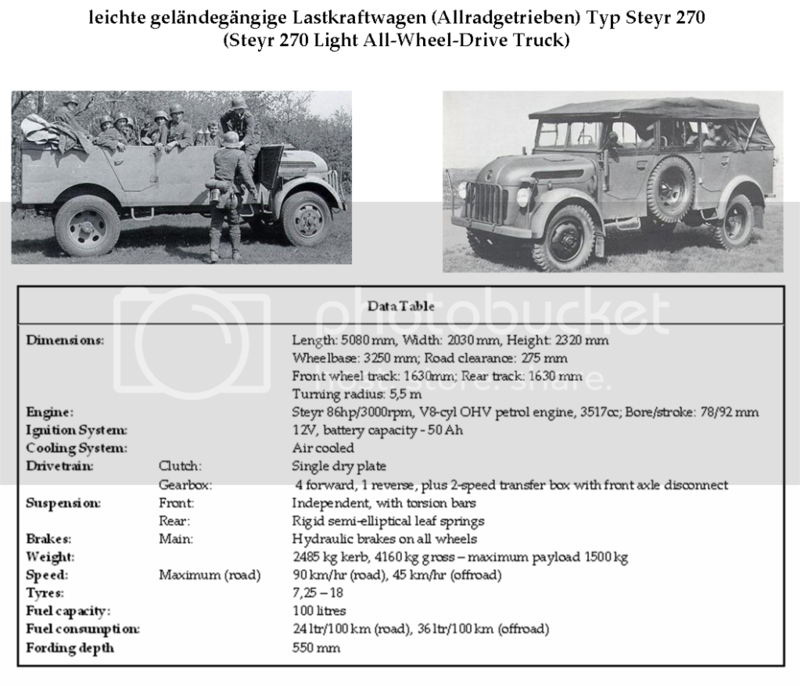 The Mercedes Benz G3a was taken into service with the Heer in 1929, following trials for light cross-country vehicles conducted in 1928. 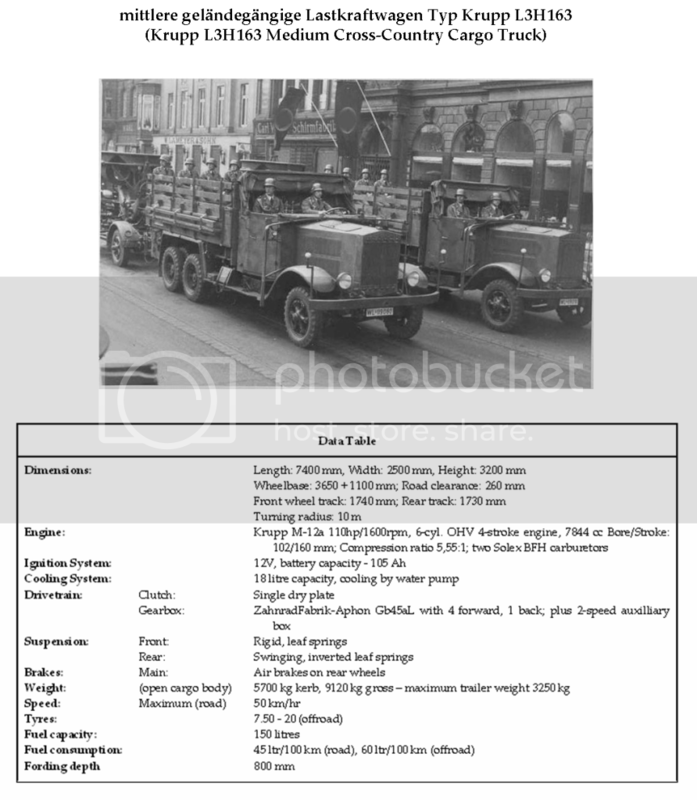 It entered production in 1929, and 2,100 vehicles of this type were procured by the Heer between 1929 and 1935, when production ceased. It fulfilled a wide variety of roles and since being displaced from first-line service with the Heer the survivors continue to soldier on with reserve and training formations as troop and cargo carriers or as ambulances. 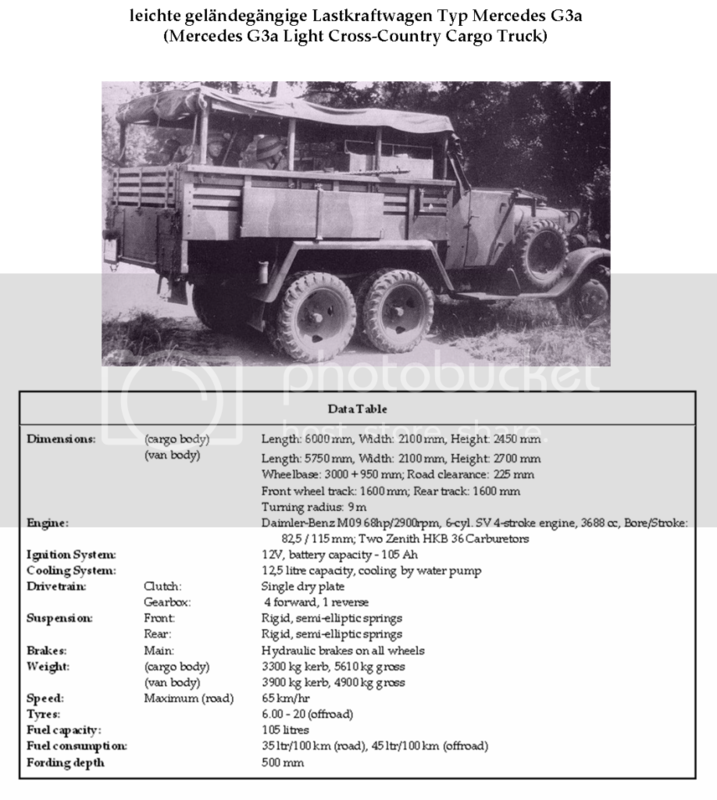 The Büssing-NAG G31 was taken into service with the Heer as one of its first generation cross-country vehicles. 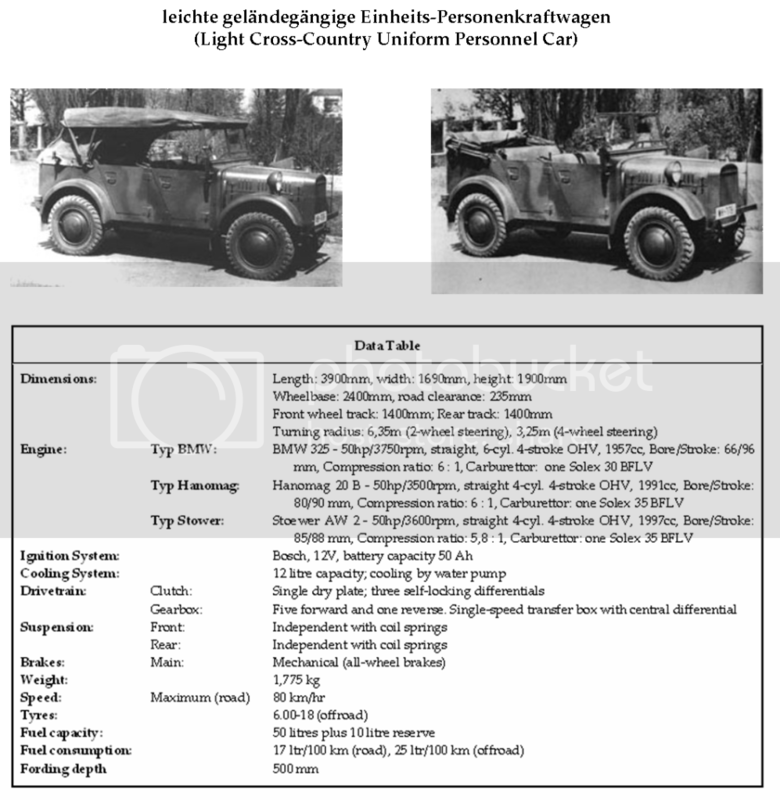 It entered production in 1929, and 2,400 vehicles of this type were procured by the Heer between 1929 and 1935, when production ceased. It fulfilled a wide variety of roles and since being displaced from first-line service with the Heer the survivors continue to soldier on with reserve units as pioneer equipment carriers or as specialist vehicles such as telephone exchanges. 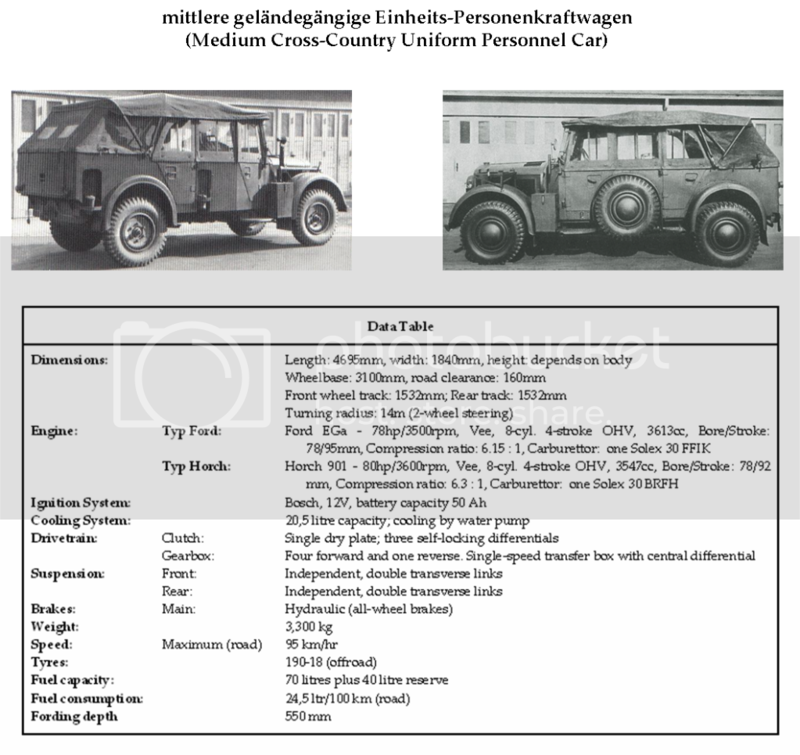 By the close of December 1939 more than 5,000 vehicles of this type had been delivered to the Heer and to the Luftwaffe and chassis manufacture was continuing for the production of specialist vehicles. By the close of December 1939 more than 4,200 vehicles of this type had been delivered to the Heer and to the Luftwaffe and production was continuing. 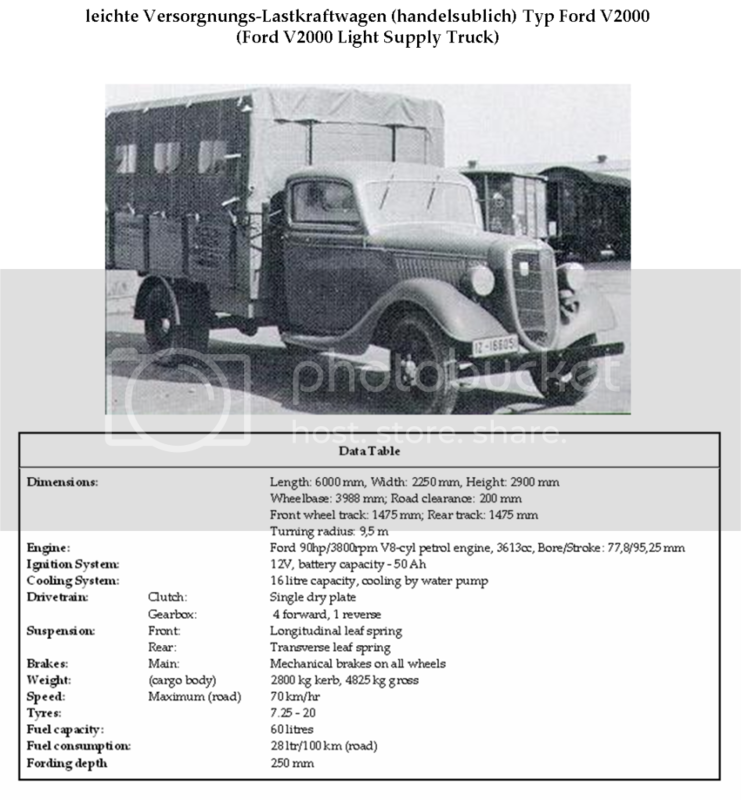 The Ford V2000 Light Supply Truck was a militarised variant of the standard Ford Model BB V8-51 commercial cargo truck adopted by the Heer for second- and third-echelon supply tasks where cross-country operating ability was not required. 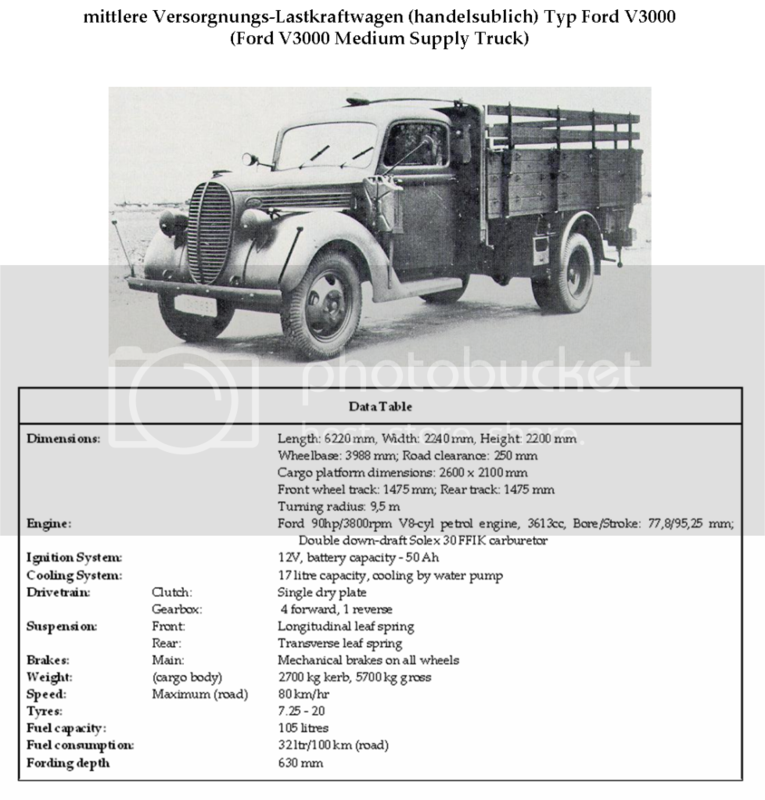 Some 2,750 vehicles of this type were procured from Ford Werke AG of Köln-Niehl between 1936 and 1938, when the type went out of production. 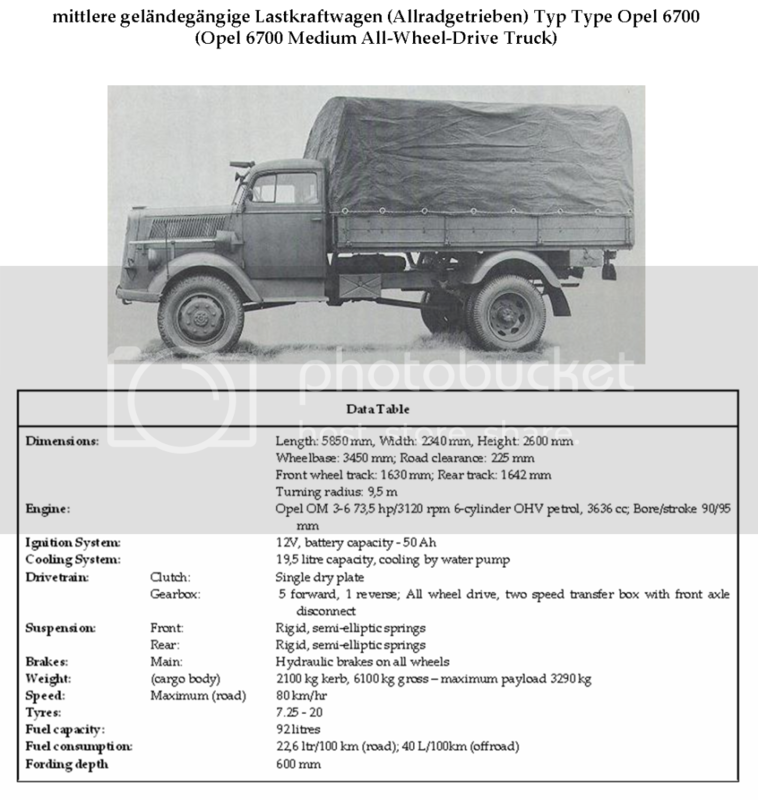 The Ford V3000 Medium Supply Truck is a militarised variant of the standard Ford Model G917 commercial cargo truck adopted by the Heer for second- and third-echelon supply tasks where cross-country operating ability is not required. 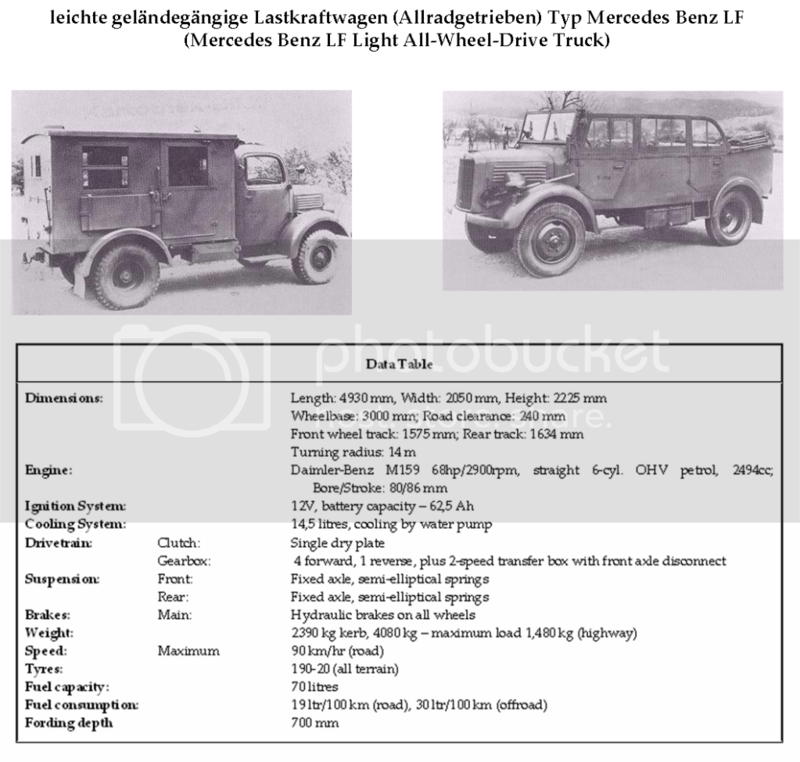 Procurement of this vehicle began in 1939 with the Ford Werke AG of Köln-Niehl delivering vehicles at the rate of 100 units per month to meet Heer requirements. By the close of December 1939 more than 1,200 vehicles of this type had been delivered to the Heer and production was continuing. The Opel 6700 Medium All-Wheel-Drive Truck was developed by Adam Opel AG to meet Heer requirements for an all-wheel drive cargo truck sharing chassis commonality with ordinary commercial cargo vehicles to avoid over specialisation. It is the first of the L3000 class vehicles to enter service with the Heer, and is also provided to the Luftwaffe and to the Kriegsmarine to meet their requirements. Production is undertaken at a new factory built by Opel at Brandenburg-Havel with Government assistance, which is capable of producing up to seventy-five vehicles per day. By the close of December 1939 more than 6,840 vehicles of this type had been delivered to the Heer and production is continuing. 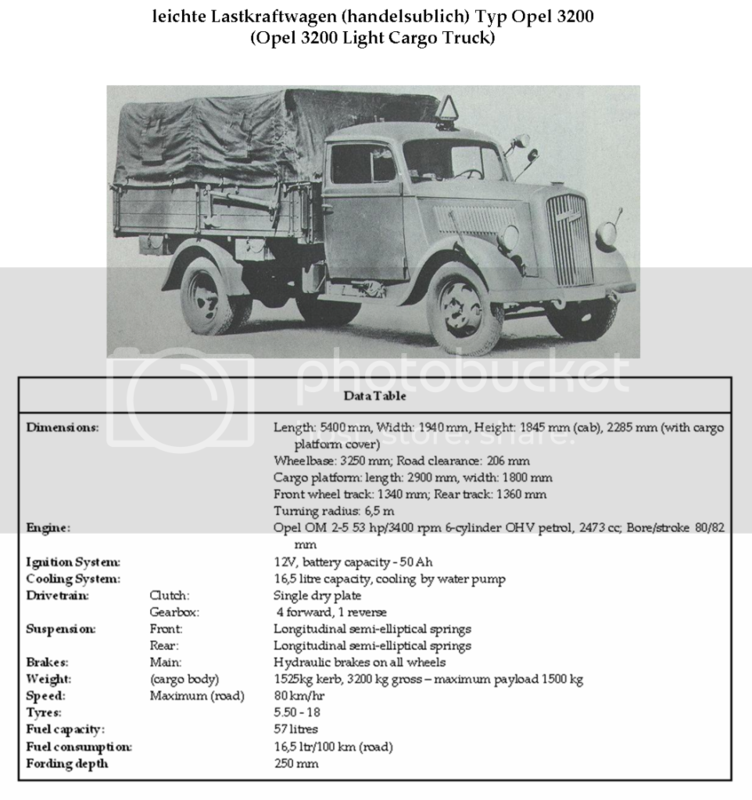 Approximately 4,000 examples of the Opel 3200 Light Cargo Truck were acquired by the Heer between 1935 and 1938, when the type went out of production. Far larger quantities were sold to the private sector or exported abroad. The Steyr 270 Light All-Wheel-Drive Truck was developed to meet Heer requirements for an all-wheel drive cargo truck sharing chassis commonality with ordinary commercial cargo vehicles to avoid over specialisation. It was the first of the L1500 class vehicles to enter service with the Heer, and was also provided to the Luftwaffe and to the Kriegsmarine to meet their requirements. By the close of December 1939 more than 2,700 vehicles of this type had been delivered to the Heer and production is continuing. The Mercedes Benz LGF design entered production for the Heer in 1940. The Mercedes Benz LF design entered production for the Heer in 1940.